The daily flight from Newark’s Liberty International Airport (EWR) to Hong Kong operated by Cathay Pacific will switch from a Boeing B777-300ER to an Airbus A350-900 operation from 29 October. A special executive briefing hosted by the Financial Times and Inmarsat Aviation on “Sky High Economics” takes place in London on 12 September with the aim of quantifying commercial opportunities for the global airline industry. Marriott International has brought its top extended-stay brand to London for the first time with the opening of Residence Inn – London Bridge, featuring 87 studio and one- and two-bedroom suites with separate living, working and sleeping areas. A joint venture designed to improve the travel experience for hundreds of millions of Chinese travellers has been established between the Chinese e-commerce company Alibaba Group and Marriott International. Anyone with the wider interests of our industry at heart would have been cheered by the formation earlier this year by a group of like-minded MPs of an All Party Parliamentary Group (APPG) to promote the interests of general aviation within the UK political system. A new route to the Tennessee capital Nashville, known as Music City, is being launched by British Airways in May with a five-a-week service from Heathrow Terminal 5. BA will be the only airline flying direct between Europe and the destination. Surging airport redevelopment across the US has been joined by another major project with Delta Air Lines breaking ground on a $4bn 37-gate facility at New York LaGuardia. British travellers facing new regulations when driving in Europe have a new helping hand to navigate driving laws that can sometimes vary significantly when compared to those in the UK. With Delta Air Lines and Hong Kong Airlines joining the Airbus A350 club last week (see story), Lufthansa also joined in to announce it will be offering flights to Hong Kong, one of the longest routes in its schedule, from 12 September on its A350-900. A new premium flight package called Business Flex has been launched by Turkish carrier Pegasus Airlines allowing passengers to change tickets and cancel bookings without charge. Visa-free entry to Qatar with immediate effect for citizens of 80 countries, including the UK, was announced last week jointly by Qatar Airways, the interior ministry and Qatar Tourism Authority. A simmering financial crisis at South African Airways took a new turn last week after the state-owned carrier said it needed a government loan of 13bn rand (£750m) for operating costs and to meet debt repayments to stay in business. Bombardier Commercial Aircraft last week celebrated another important milestone for its C Series aircraft programme with the first revenue flight into London City Airport (LCY) of a Swiss International Airlines (SWISS) CS100 from Zurich. Hilton has launched its Digital Key in ten of its UK hotels and is expecting to connect 100 properties by the end of 2017 – the largest implementation outside the US – and then to 2,500 hotels across the world. New air services have focused attention on the US state of Colorado. It’s known as a wintersports haven but it’s fun in summer too, as Richard Cawthorne reports. No car test this month, writes BTN editor-in-chief Malcolm Ginsberg, but some good news followed by a feature article, both about a quintessential British car company that has been established for more than 60 years and epitomised the ‘swinging Sixties’. It looks like it is going to be around for a lot longer. Just in case you thought female commercial airline pilots were a new phenomenon, Yvonne Kershaw, the first British woman to captain a jumbo jet, has just hung up her wings after 27 years flying Boeing 747s for Virgin Atlantic. The tenth Destinations and Travel Management Summit, formerly known as the Venues & Destinations Summit, takes place at the Radisson Blu Hotel at Stansted during the weekend of 20 – 21 November. A major expansion to Europe and North America was signalled last week by Aer Lingus adding 300,000 extra seats to its winter schedule, its largest so far, led by a new three-a-week Dublin – Miami service from 1 September. A new codeshare partnership signed by bmi regional with the Italian airline Air Dolomiti sees five new routes – Venice, Verona, Bari, Bologna, and Florence – added to its network via Air Dolomiti connecting flights to and from Munich. 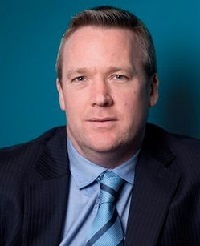 New chief executive officers are taking charge at Manchester and Stansted airports after a management reshuffle by the Manchester Airports Group (MAG), with Manchester’s Ken O’Toole moving to the London facility. Three carriers kept the new Airbus A350 in the news last week with Delta Air Lines leading the way as the newest member of its fleet touched down in Atlanta following a trans-Atlantic crossing from Toulouse, where the aircraft was assembled. Plans to create a state-of-the-art cargo hub with complementary passenger and engineering services are moving ahead at the former Manston Airport in Kent, which has been closed for three years. A demand for more than 1.2m key airline personnel including 600,000-plus pilots over the next 20 years has been highlighted by Boeing in its newly-released 2017 Pilot and Technician Outlook.